It’s getting cold and it’s really important to keep yourself hydrated this season. Make it fun with these top 5 colourful tumbler options. Pick your favourites! This Thor Copper Vacuum Insulated Tumbler features a durable, double-wall stainless steel vacuum construction with copper insulation, which allows your beverage to stay cold for 24 hours and at least 6 hours for hot beverages. The construction also prevents condensation on the outside of the tumbler. It also features an on-trend, durable powder coating, and an easy sipping, push-on lid. The Eastman Tritan™ straw is included, and it's got a wide opening for comfortable filling and pouring. Available in 14 different colours! Silicone lid. Double-wall ceramic tumbler. 5.5" tall without the lid. Fits in most corporate coffee machines. Microwave Safe. Remove silicone lid before placing in the microwave. Choose between color imprinting or our cutting edge dishwasher safe laser decorating method. 11 oz. Laser decorating cannot be done on the white mug. Available in 19 different colours! A fantastic promotional tumbler! 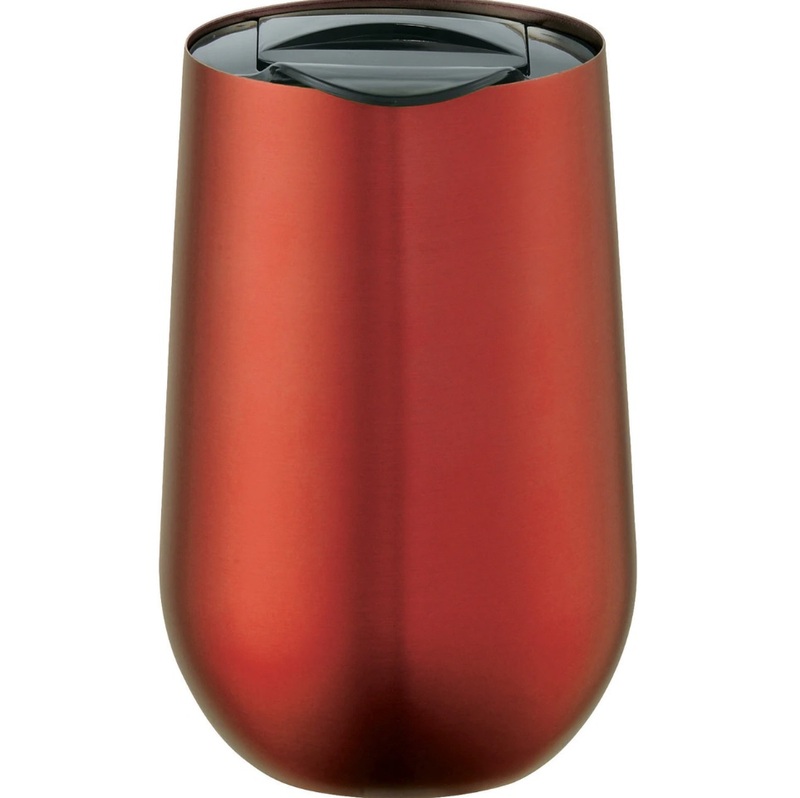 The Sedici Tumbler is a double-walled, BPA-free acrylic tumbler that includes a straw and stopper. It ships with the matching colour straw unless specified otherwise in your purchase order. Available in 8 different colours. Choose your favourite! Some like it hot & some like it cold, with this patented two-in-one lid you can have both. Double-wall acrylic body with screw-on lid that has a pull up stopper for drinking hot beverages and an integrated pull up straw for cold beverages. Available in 6 different colours. Part of our Clarity trend collection this simple and sleek double wall stainless steel tumbler is compact for an easy fit with most single cup or K-cup coffee maker. Lid is push-on and slides open and closed. Great for use at the office. 14oz. Available in 4 different colours.